The American Gaming Association (AGA) recently announced that it has taken on six new companies as members of the association’s Board of Directors. With the Supreme Court’s decision on the constitutionality of PASPA and the ongoing movement to legalize and regulate online casino gaming, these new board members will probably play a major role in setting AGA policy going forward. This announcement follows a previous announcement that the AGA has aligned with BMM whose expertise regarding regulatory policy will be invaluable to the online gaming industry. This company is a world leader in the sports betting field and a major player in the general online casino niche. The company is huge; it is traded publicly on the London Stock Exchange and is one of the companies that make up the FTSE 250. With their vast knowledge of the sports betting market, the company will help direct association policy in that area. This is a Native American casino conglomerate operating eight land based casinos in the Oklahoma area. The Choctaw were a tribe of farmers in the American southeast but were forcibly removed from their native lands in the ignominious Trail of Tears. The tribe has a long oral history that it uses to guide it in its business pursuits. With eight casinos, the Choctaw are one of the most active Native American tribes in the land based casino market. Their expertise will couple well with GVC Holdings whose expertise is far more in the online arena. The Choctaw are generally one of the most successful Native American tribes with membership in excess of 200,000. The tribe has initiated many ventures to preserve its culture, language, native art, and more. The Choctaw are also in the forefront of bringing the concept of Integrated Resorts to the American land based gaming scene. Integrated Resorts are a massive complex incorporating hotels, convention centers, theaters, restaurants, water parks, children’s and family attractions, and shopping malls around a casino. So, a family or individual can come to the resort and spend money without gambling at all. In essence, the casino is an adjunct of the resort rather than the center of it. This blends smoothly with the AGA commitment to responsible gaming. This company, based in Nevada, is another company fully committed to the Integrated Resort concept. The company was established only in 2015 with a merger but both companies in the merger were well established in their individual niches. The merger is what formed a company headed in the direction of the Integrated Resort. This company has expertise in the poker segment of the gaming industry. It operates poker rooms both on land and online. It is based in Canada, bringing a unique Canadian vision to the AGA. This company was formed by the merger of Paddy Power and Betfair. It merged a massive sports betting operation with casino gaming. The company has over five million customers worldwide and is traded on the London Stock Exchange and is one of the FTSE 100. This company, which was established in 1981, provides invaluable testing services for casino games for both the land based and the online markets. The company has a wealth of information, garnered from the highs and lows of the gaming industry over 37 years, and expertise in all areas of gaming from the engineering side to the regulatory side. The AGA sees its partnership with BMM Testlabs as a great step forward for the gaming industry as a whole as the industry expands in the US into sports betting and online gaming. Online gaming was prevalent in the US until the passage of the Unlawful Internet Gambling Enforcement Act of 2006 (UIGEA). BMM Testlabs has learned much about compliance with that law and how flexibilities in the law can make online gaming in the US the huge business it once was. The association sees itself as an advocate for the gaming industry and its 1.7 million employees rather than as a corporate lobbying firm. 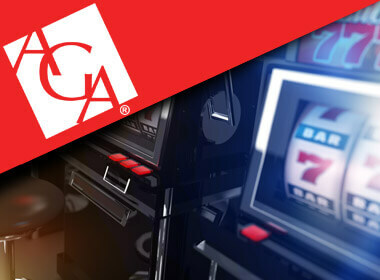 The AGA is steadfastly committed to responsible gaming which translates into gaming as a benign form of entertainment. At this time the American gaming industry generates more than 40 billion dollars annually. The advent of sports betting and the promise of online casino gaming will send industry revenues far higher. Regulations and fair taxation will raise much needed government revenues in many jurisdictions. Employment in the gaming business will likely eclipse two million within the next ten years and the AGA sees itself as much the advocate of employees as it is the group voice of employers. The idea of Integrated Resorts, which began in Singapore and spread throughout East Asia, will come in full force to the American gaming market. The AGA will be leading advocates within the industry for the Integrated Resort concept. It will also represent the industry to government offices, as it has done for many years, to further the development of the American gaming industry in the twin directions of increased profitability and responsibility. The US stands on the edge of great growth in gaming both at land based casinos and online. As the population of baby boomers ages, hey will have more time to play casino games online or to travel to nearby land based casinos. The prevalence of land based casinos and the advent of the Integrated Resort idea will make the casino complex attractive to every segment of the population from families to people looking for some casino action for an afternoon to conventions and much more.